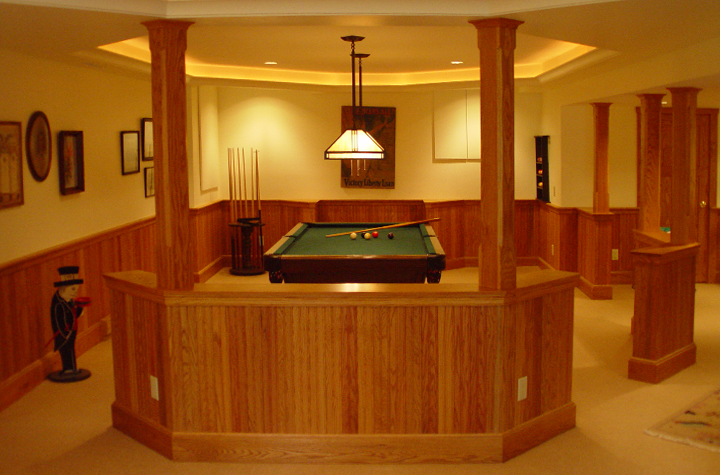 This basement had little natural light before the Associated Housewrights Craftsmen transformed it into a classic and comfortable space for all ages. 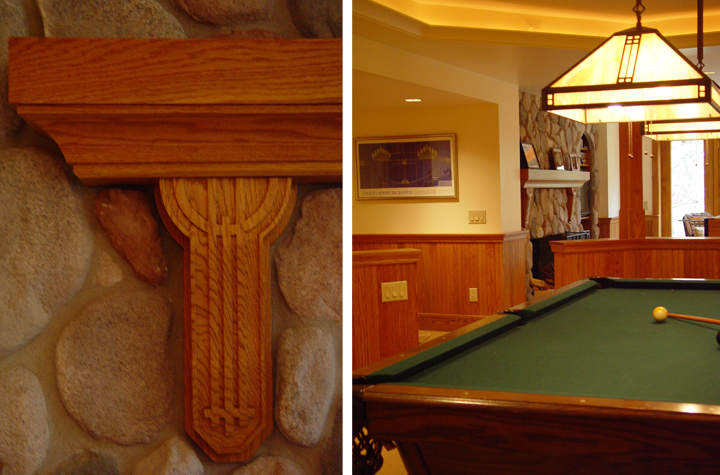 The mantle brackets, hand-carved from oak, and wainscoting add character to the room. Thoughtful lighting design makes the space warm and inviting. Now the owners can entertain in style!